You’ve heard that it’s good for you, but what are the best coconut oil uses? Which kind should you buy? What’s healthier, pink Himalayan salt, sea salt, or kosher salt? Does it even matter? Who needs to be adding salt to their food? How often should you be using protein shakes? When is the best time to use them? What do you really need to know about cholesterol tests? 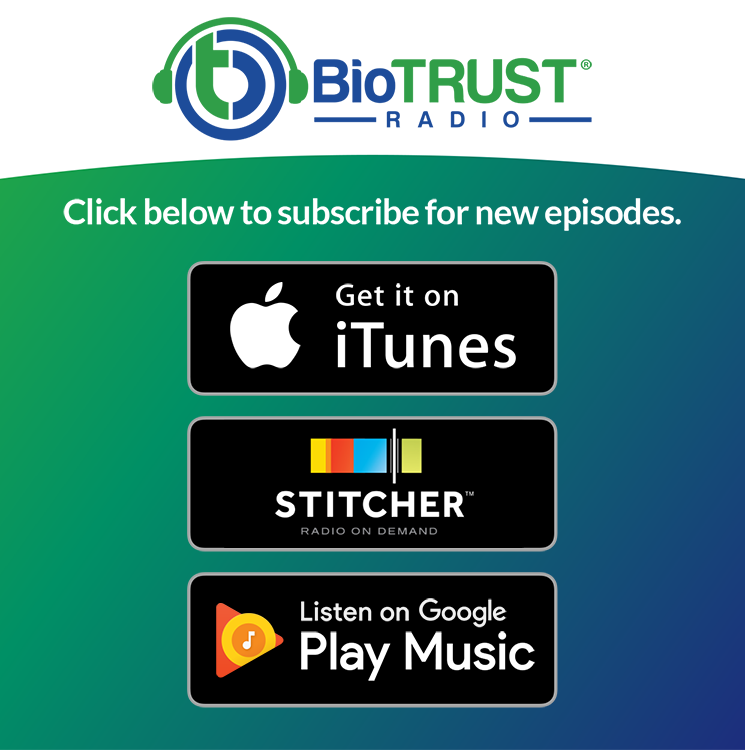 Believe it or not, we cover all these topics and more in this episode of BioTrust Radio, which is fueled by questions from our VIP members. Enjoy! What is the body’s “master antioxidant” and how you can get more of it. What some of the top coconut oil uses are and what’s the best kind to use: extra virgin or fractionated. What type of salt is best to use, table salt, kosher salt, sea salt, or pink Himalayan salt. Who actually needs to ADD salt to their food. What you should actually be paying attention to when it comes to cholesterol tests. The truth about keto, cholesterol, and triglycerides. How often to use protein shakes and the most important time to drink them. How much protein you should be consuming daily. The facts about weight loss supplements Garcinia cambogia and green tea. Shawn: We are back, people, and we are answering your questions. It’s your host, Shawn Wells, and I’m here with Tim Skwiat, brilliant mind and genius overall. Tim: We’re just a good team, man. Tim: We’re just a team, and the reason that we’re such a good team is we have such great people asking such great questions. Tim: They just kind of put us in a place where we can’t mess it up. Shawn: That’s true. BioTrust Radio is a community service, really, right? I mean, we’re here answering your questions, but you’re asking the great questions. And this is a community-driven thing and you’re really dictating the content of the show. We’re just here to provide some good answers, but the show kind of goes as you want it to go. So not only can you ask questions on the blog or on VIP BioTrust on Facebook area, but you can ask a question, you can give us feedback on the show, how are we doing, you can dictate all kinds of things to us and say you guys should be covering this and that. We’re down for whatever you want is what this show will be, because we’re here for you. And I think we make great products, and hopefully we’re doing a good job at the show. So, give us that feedback. We’re ready to roll into it on BioTrust Radio and answer more of your questions. So the next question we have—oh, and by the way, when you ask these questions you get a free product, right Tim? Shawn: And we mention it on BioTrust Radio, I should say. So this is pretty cool. So, Anne Roseberry is going to get a free product because we’re mentioning her question here. Tim: And I think I know which one we’re going to send her, as well, based on her question. Shawn: Yes, exactly. And she asked us on the blog and she said, “Are you guys doing any research or coming out with products that boost glutathione?” And glutathione, for those of you that don’t know, is a tripeptide, which means it’s three aminos long. And it’s a unique antioxidant, and it’s the “master antioxidant,” it’s often called. Do we have any products that boost glutathione, Tim? Tim: Yeah, I like it because, Shawn, you referred to it as the “master antioxidant,” which that’s kind of its go-to name. We do actually have a product that boosts glutathione and it’s called Ageless Body. Ageless Body has an ingredient in it called Setria®, which is a form of glutathione. Shawn: And it’s orally bioavailable, studies have shown. Tim: Right. I believe it’s the first oral supplement that’s been shown to boost body stores of glutathione. So previously, you would take an injection of glutathione, in order to get the body stores up. Oral versions weren’t effective. But the Setria® glutathione is the first one to actually be shown in human studies, right? Shawn: Yeah, and I should say it’s also a fermented form. It’s a special form of glutathione that’s actually natural. So really great stuff. An incredible product, Ageless Body. I take it twice a day, every day. It’s phenomenal. And it’s not for just older people. It’s for anyone who’s aging, which is everyone. Tim: Everyone, all the time. One of the more recent studies Setria® actually was a skin health study. Tim: And the people that took Setria® daily, I can’t remember, maybe eight weeks long, but they improved their skin brightness. Basically, they kind of restored their youthful glow just by taking the glutathione. Shawn: Right, and so we know like the color that’s in a lot of these fruits and vegetables are antioxidants. That’s why everyone says “eat a colorful plate of food” right? Those colors that are on the outside of those fruits and vegetables are often there to protect them from the sun. So those are rich in antioxidants, very different antioxidants, but based on the color. But I can see, obviously, that if you take more glutathione that you would protect your skin, you’re nourishing your skin from the ravages of aging, but also the ravages of photo‑aging, which means the damage from the sun, potentially. So very cool stuff. Let’s go to the next one. Another one from the blog, Rick Arneson says, “What would be some top coconut oil uses?” What do you think, Tim? Tim: That’s a good question, Rick. We actually have a free report on, I think it’s like the top 10 coconut oil uses. So Rick, I’ll make sure you get a copy of that. One of my favorite coconut oil uses is simply to cook with it. Whether it’s pan frying or in roasting different things. Shawn: Because it deals with high heat pretty well without oxidizing. It has a good smoke point. Tim: Yeah, it’s a bit more stable because it’s more in saturated fat. Tim: That’s one way to use it, or two coconut oil uses, really. Other great coconut oil uses include baked good recipes, protein bars or something like that. I’ll just melt some coconut oil and put it in there. Shawn: How about adding it to a smoothie? How’s that for one of the coconut oil uses? Tim: A smoothie would be another one that I like to use it in. Just adding it to a smoothie. Actually, I was going to mention, Shelly, your wife, showed me one of my now-favorite coconut oil uses: homemade keto magic shell. Shawn: Yes! Yes, that is super cool. So, for those of you that don’t know, she basically takes cocoa powder and some coconut oil, which as you know can be a liquid at a certain temperature, but can be a solid at another temperature. I think it’s like 72 degrees or something? Tim: Yeah, I think it’s something like that. Shawn: So, when you put it on ice cream, which is obviously very cold, it hardens and it makes that—I don’t know if you guys remember having Magic Shell, but basically that was used doing a wax, which is a similar concept. But it makes that hard shell on your ice cream, and we make a healthy keto ice cream that’s a whole different topic. But that’s one of the very delicious coconut oil uses. But there are other coconut oil uses that don’t have to do with food. I know a lot of people use it one on their skin, and two on their hair. So, do you want to speak to that? Tim: Sure. My examples come from my daughter. Again, I remember when we had we had Parker—that’s my daughter’s name—and we had her at a birthing center, which was with a midwife and so was less of your typical mainstream approaches. And so it seemed like every question I asked like, “And what if this comes up? What if this comes up? You know, different rashes or whatever. They’re answer was “coconut oil, coconut, coconut oil.” Coconut oil uses abound! Shawn: It’s antimicrobial. The lauric acid in it. Tim: It is antimicrobial. Exactly. One of the things that comes to mind is cradle cap. Babies get cradle cap, and you would actually just put some coconut oil on there and let it sit for a little while, and you could comb it out. Shawn: Well I know a lot of these shampoos, not only do they contain ingredients that are not natural and maybe that potentially are not necessarily healthy to be putting on your skin and hair, but a lot of these products actually strip your hair or strip your skin and make them dry and potentially brittle. And I know for people that deal with flaky skin where they get the head and shoulders kind of scenario on their shoulder, or they have thin, brittle hair. Add some nourishment back to your hair is another one of coconut oils uses. And I’ve heard this again and again. People say their hair is now shiny, it’s stronger, it’s thicker. And it’s cheap to use. Now, it may not be as quick as using something that’s as thin, water-based, but it’s definitely good stuff, and I’ve heard that consistently that people love to use it on their skin and their hair. I haven’t tried it yet, but I should. Tim: Just real quick on the coconut oil, Shawn. Would you recommend for most uses to use like an extra virgin cold-pressed coconut oil? Shawn: Oh yeah. That’s a great point. Yeah, for sure. And if you’re someone that doesn’t like the taste of or smell of coconut oil, there is the fractionated version, which is going to stay liquid and it basically has no smell or taste. So you can still use it and get some of the antimicrobial benefits and the MCTs that are in it, for your metabolism, and all that good stuff. But yeah, I agree. If you can deal with the coconut action, and I think you can get used to it in time. I know a lot of people that do that tell me that they started using it and then they use it more and more, that it’s incredible. And use that—like Tim was talking about—the extra virgin cold-pressed kind of stuff. All right, so next question, from Andre Huynh, I don’t know. It H-U-Y-N-H. So Andre, you will be getting a free product. And you asked your question on the blog and it says, “Would definitely love to hear you guys dive deeper with different kinds of available salts out there.” Oh, this is a good question. Table salt, iodine, sea salt, Himalayan pink salt, etc. This is a great question. I think it’s one of those things where I think there’s benefit to the sea salt and Himalayan pink salt. I think both of those are really essentially the same to me. But over the table salt in that the idea is that you’re getting more of the minerals with that chloride. So, “normal” table salt is sodium chloride. If you guys remember the element table and you’ve got sodium Na+1, Cl‑1, whatever. So, this is sea salt and Himalayan pink salt would have more minerals, potentially, as the cations, the positively charged ones that you would have in there. There’s more health benefit in terms of getting some of those things in. I know a lot of cooks, like there’s a slightly different taste to it, and they feel like it brings out flavor better. I think that’s up to you to try. Another thing that I would make sure that your salts are iodized, where they have iodine in them, because many people don’t get enough iodine in their diet otherwise. Really, the best place to get it in your diet, if you’re not eating like kelp or something, is salt. And the iodine helps with your thyroid, which is very important to your metabolism. Shawn: Your energy. It’s so very important. So, I would make sure it’s iodized. Yeah, I’d lean towards the sea salt or pink Himalayan pink salt. Tim: I think that’s a good recommendation, overall. I kind of looked into this a little bit more because I think there’s some pretty outlandish claims out there. Shawn: It gets crazy, yeah. Tim: And really, all different types of salts, as far as I can tell, are somewhere between 36% to 38% sodium. That’s pretty much salt is going to be mostly sodium. And when you look at the additional minerals, I think like to get magnesium for instance, I think you’d have to take eat like a hundred grams or an unrealistic amount to get your daily value. Not to say that that would be your main source of magnesium, but I’d just exercise caution. Tim: Don’t spend $20 on salt, for that the purple salt. You can get a good sea salt for much less. But I do like the question also because you and I have talked about the importance of sodium before. So, for someone who’s eating mostly whole foods and is active and not eating processed foods, really you should be salting your food. Shawn: Yeah, I think they may be getting too little sodium in that case. And sodium has a very ergogenic effect, meaning it improves your exercise performance. The number one thing that you have to watch for, I would say, after water itself is sodium, in terms of decline of performance. Shawn: So, definitely, sodium is great stuff. Not to be underappreciated. And if you’re on a keto diet, I would say you need even more sodium than a normal person would. Tim: Speaking of keto, I’ve got a question for you, Mr. Keto. Shawn: Okay, I’ve got to center myself because this one really frustrates me, and it doesn’t frustrate me that George Ann asked. It’s a great question, but it frustrates me. There’s a bigger problem with cholesterol, the way it’s tracked and the way it’s understood, even by physicians. So, I will preface this by saying talk to your physician about this question. But cholesterol is greatly misunderstood. The higher your cholesterol, the more correlated it is to longer living. The lower your cholesterol, the more correlated it is to shorter living. Yes, a high fat diet can potentially increase your cholesterol. That makes sense. Fat is the place that you would be getting that cholesterol. And that also those keto diets, these high fat diets may also because your cholesterol is increasing, you may get more of the steroid hormones as well. You may get elevations in estrogen, testosterone, progesterone, and things like that. I will say, do not overly focus on one, the test is flawed. I don’t like the idea of cholesterol being a focus anyway, but the test is also flawed. So, if you’re looking at this total cholesterol and LDL, and LDL is “bad.” And this is not true, not true at all. That’s not a good test. The one that they’re using is a calculated measure. There is a test called NMR and there’s another one called VAP test. These tests actually break down the subfractions, and that’s where you have to look. So, LDL is actually wrongly maligned as bad cholesterol and it’s not. There is a small, dense LDL that is bad, that is. That’s the one fraction of all the cholesterol that is correlated to coronary heart disease and these cardiovascular issues. So that is the one that you might look at and that isn’t teased out by the tests that your physician is probably giving you. You have to pay more money to get this VAP or NMR test. So what happens with keto is, yes, your cholesterol can increase; and yes, your LDL can increase, but it’s that large fluffy LDL which is correlated to better cardiovascular health. And this is why, if you look at like these inflammasomes and you look at these different subfractions of cholesterol, you see health measures improve. So this isn’t a bad thing that’s happening to you, most likely, unless you have a rare condition, and you may. I know some people that have some unique scenarios, genetically, with certain enzymes and it’s very complex, that maybe a keto diet isn’t right for them. But I would say 99% of the time, it’s going to be a positive effect on your cholesterol and your cardiovascular health. So, that is what I would do is, I would dive in a little deeper. I would have maybe a more serious discussion with your physician. Maybe see someone else beyond your physician and go to a cardiologist and have this discussion. That might be worth doing. A cardiologist or an endocrinologist, someone where you can do like a deeper dive on some of these things. And hopefully they’re familiar with the keto diet and they don’t just wrongly trash it as some fad diet or they don’t understand it, or they haven’t looked at the research. And if they’ve never heard of an NMR or VAP test, then I would just run away from that physician because they’re making recommendations that are just blanket recommendations and haven’t done much research on their own. So that’s my thoughts. Tim: That’s an excellent answer, Shawn. Just to add to that, not that there’s much to add to that very comprehensive answer. But three other things that I think are noteworthy about what I’ve seen with ketogenic diets or high-fat low-carbohydrate diets. One, they increase HDL cholesterol, which we tend to classify as “good” cholesterol or the higher HDL, the lower cardiovascular risk. Another one is that they’re very good at lowering triglycerides, which is also very important for cardiovascular risk. And they’re also extremely effective at lowering insulin levels, which is an extremely important metric for cardiovascular and metabolic health. Shawn: Yeah, exactly. Like “metabolic syndrome,” as it’s called, which includes obesity and Type 2 diabetes, and all these different things, high blood pressure. It all ties back to that insulin-resistant state. So exactly, I think keto, that’s where you have a huge win. So, great question. I’m glad you asked it. It’s definitely a frustration of mine, so hopefully I gave you a good answer. But again, always check with your physician and everyone has unique scenarios and unique tests. So I don’t know every bit of this information, but hopefully that was helpful. Well, that’s an interesting question. I think there is no “right.” It just depends on you and your goals and your needs, and is this something that you enjoy, it’s satiating. Are you using this to supplement your protein levels because you just don’t get enough protein? Those are some things to think about. Because some people, it’s hard to get, especially as we age. And that’s because a lot of people aren’t getting enough protein in one sitting, or one meal I should say, where they’re not getting enough leucine to trigger what’s called “muscle protein synthesis” which is something that maintains our lean body mass. It protects our muscle. So that’s the issue to me, especially if I don’t know your age, Joanne, I don’t know your diet. But if you have trouble getting enough protein in your meals and maybe you just feel full, this is a great way to add to that to add. To add to your “supplement” to your diet with this protein, so you get enough protein, so you can protect your muscle, and all the great things that we’ve seen with having more protein. So that’s what I think. I think it’s really up to you. I don’t know how much protein you’re getting a day, but it’s certainly a delicious way, an easy way to get a quick highly-bioavailable protein and get that leucine that you need and trigger muscle protein synthesis, and do all the wonder wonderful things that can happen with your body composition as a result. What do you think? Tim: Yeah, absolutely, Shawn. I think that I would completely agree with that. I think it comes back to the question why are you supplementing with the supplement anyway? Tim: For with for a protein supplement, most people it is to optimize protein intake, and if there’s “one best diet” out there, I would probably say a higher protein diet is pretty tried-and-true across populations. And how much protein is it varies. It can vary based on your goals, your body size, your activity levels, and things like that. But for most people probably listen to the show, it’s going to be at least somewhere around a half a gram of protein per pound of body weight per day. Not to go run off and play with calculators or anything, but a protein supplement is designed to help you meet those protein goals. Shawn: And what about the people that say, “Oh, you’re getting too much protein. That’s scary,” and aside from the keto thing, like where some of it can actually turn into a glucose, and that’s a whole different discussion. But for the people that are like, “Oh, it’s dangerous to get too much protein,” what do you say to that? Tim: Yeah, I think we know that that’s pretty much hogwash. Tim: There’s some circular arguments there with like kidney issues, but for an otherwise healthy person with normally function kidneys, perfectly fine. Like we’ve talked about, Dr. Antonio’s studies where these participants are consuming two to three grams of protein per pound. Shawn: Yeah, getting like 400 grams of protein a day or something. Tim: Yeah! For weeks, and there was no issues there. Shawn: No issues. None. Exactly. Tim: One other thing that I would say to Joanne or a couple things that come to mind also is that one place where I see people not getting enough protein usually is at breakfast time. And adding a shake to your breakfast time, whether it’s in addition to what you’re already eating or in place of, can have tremendous impact on your food intake the rest of the day. So there’s studies, Dr. Leidy, out of the University of Missouri has done quite a few studies on protein intake in adolescents and older folks alike, and show that consuming over 20 grams, somewhere between like 20 to 30 grams of protein at breakfast time, significantly improved diet quality, reduces cravings and appetite over the course of the rest day. And then that’s acutely. But over the long‑term, improves body composition significantly, or at worst, prevents weight gain over a long period of time. So that’s one thing that comes to mind. Shawn: …know your calories, know your protein level. Yeah it’s very simple. Tim: So, if you’re just getting started, maybe replacing a meal or a snack or two with the protein shake can be helpful in that capacity. Shawn: Right, exactly. Great answer. So this next one is a little confusing to me. Maybe you can read it and help me understand it. Tim: Yeah, I think this question just came from a thread and here’s John Volkmann’s question. It says, “Where are you kids?” I’m assuming he’s talking to you and I, Shawn. Shawn: Okay. I was misreading that. I was thinking he was asking this about his kids. Okay, I got it now. Where are you kids. Tim: Where are you, kids, on green tea and Garcinia cambogia for weight loss? Shawn: Wow, okay, so Garcinia cambogia, there is some legitimate data. There’s also a lot of hype around this one. It was a Dr. Oz ingredient. There was litigation around this. The problem is you have to get the right dose and the right form. And this is going to be the consistent story for us. We don’t have a product that has Garcinia cambogia, but that Super CitriMax is a branded one and that’s the one I would use because it’s standardized for hydroxycitric acid (HCA), and that’s similar to the study. So I would go back to those studies and see the right dose. I want to say like 2.5 grams a day or something like that. But you can check that out. I do like green tea and green tea is in LeptiBurn, and ours is standardized for EGCG, and there is positive effects on metabolism. And certainly ours is decaffeinated because we just wanted to do that to take any risk out of it for people that are sensitive to caffeine, don’t want stimulants, want to use these later at night, and a whole host of reasons. People may be on certain things that could conflict with caffeine. But if you are a green tea drinker, then this is another way that you could get something outside of our product, LeptiBurn, and get the metabolism-boosting effects because it does have caffeine. Another cool thing that it has in it, that actually has been shown to have synergy with caffeine, is the l-theanine. Which kind of takes the edge off the caffeine, so to speak. It helps you relax. I would say it’s like a clean-energy, where you can focus. We tend to think of focus as like being hyper-stimulated, but it’s not. It’s actually being less stimulated. It’s being able to relax and settle in. That’s where you focus. So you’re getting some energy, but you’re able to focus, gather yourself. I think of kind of like a mindful meditation, an alertness that’s positive. So that’s where I think green tea is good, and so I certainly recommend that, and that is in our product, LeptiBurn. But Garcinia cambogia is a decent ingredient, if you get the right form, the right dose. But there’s so much of it out there that is not good, and same of the green tea. There’s a lot of just green tea out there that isn’t the right dose or the right form. So, you have to be careful. You have to look for standardizations, and that matters a lot. So look for branded forms, where there are some, because then that tends to be like something that’s been studied or has the standardizations. So that’s what I would say as a quick answer to that. Tim: That’s a good one, Shawn. I just want one quick chime-in before we wrap up for the day. One of the questions comes up with green tea is that there’s some concern about green tea and the liver. Tim: So, I thought maybe we mentioned that real quick. And maybe more correct me if I’m wrong or share what you’ve looked at in this, but when I look at the data on this, what it looks like is that any of the case reports that I’ve seen that it’s not green tea by itself. It’s green tea in a mixed formula, usually with stimulants, with potentially dangerous stimulants. Shawn: Oh my goodness. Yeah, there’s one study, or I should say case study, that was crazy. The person was taking 20 products and their personal trainer was telling them what to take, and they’re taking all these. I think the one Tim’s referring to is like pre‑workouts and fat burners, and just all these things with tons of stimulants and way too much stuff. Yeah, it’s multifactorial because there’s so many products. And then somehow green tea got blamed for it, and it’s crazy to me. But maybe there’s different motivations there. I don’t know. Tim: Yeah, I’m not sure. But the moral of the story there is that I don’t think there’s any data really to show that green tea by itself is an issue, especially when taken at normal levels. Tim: Maybe at these super-physiological levels, rats have liver problems, but that’s not what you’re going to get from a supplement like LeptiBurn or something like that. Shawn: Right. Or drinking green tea. Shawn: I mean, green tea’s been drank for like how many thousands of years, with the Chinese culture. All right, well cool. Let’s see. I think we’re got to wrap up then. Anyway, great show, Tim. And we’ll see everyone on the next one. Thank you for sticking around and asking your questions, and hopefully you appreciated our answers. So, so long from BioTrust Radio.